Home / News / Drilon urges scrutiny on 29 PH-China deals: "We will be vigilant. We are prepared to go to court on this"
Drilon urges scrutiny on 29 PH-China deals: "We will be vigilant. We are prepared to go to court on this"
Senate Minority Leader, opposition senator Franklin Drilon vowed to scrutinize the 29 deals and bilateral agreements that the Duterte administration signed with China as he recounted and reminded Filipinos of the controversial multi-million dollar Northrail Project and the NBN-ZTE deals that proved costly on the part of the country. “The controversies involving these two (previous) multimillion-dollar Philippine government undertakings with China are too recent to be forgotten,” Drilon said. “Taking into account the grossly disadvantageous contracts that the government had previously signed with China, it is imperative that we scrutinize these new deals to assess whether the agreements are consistent with the Constitution and our laws,” he added. Absolute transparency on 29 deals. Drilon has also called for "absolute transparency" on also 29 agreements, most particularly with regard to the exploration of the country’s natural resources. 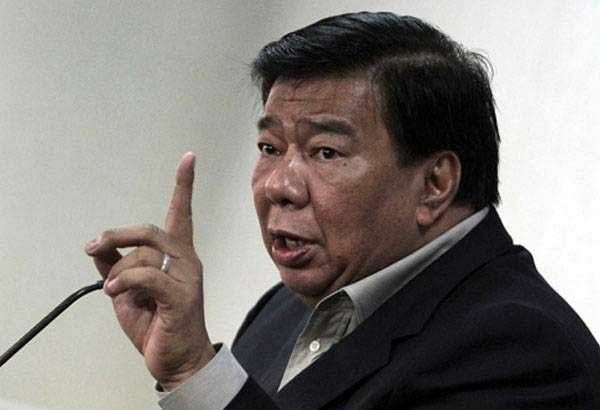 "We will be vigilant in scrutinizing these agreements," said Drilon, adding, "We are prepared to go to court on this." The minority leader explained that under the law, exploration, development, and utilization of the country’s natural resources shall be under the full control and supervision of the State. He cited Section 2 of the Constitution which states that "All lands of the public domain, waters, minerals, coal, petroleum, and other mineral oils, all forces of potential energy, fisheries, forests or timber, wildlife, flora and fauna, and other natural resources are owned by the State." "All agreements that may involve exploration of natural resources should comply with the nationality requirement of the Constitution,” he stressed out. Drilon further states that “the state may directly undertake activities, or it may enter into co-production, joint venture, or production-sharing agreements with Filipino citizens, or corporations or associations at least 60 percent of whose capital is owned by such citizens,” he said. 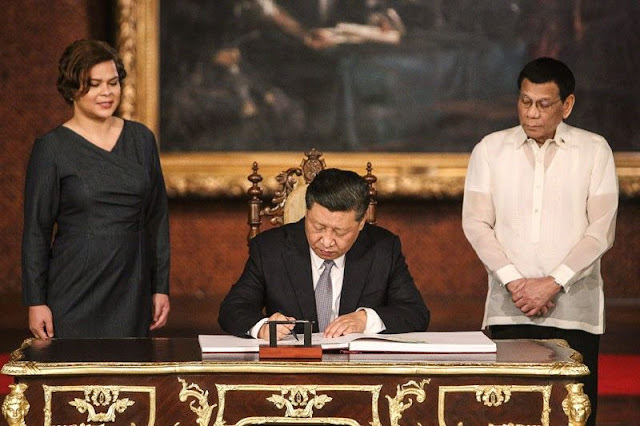 The Philippines and China, signed 29 deals highlighting the growing cooperation between the two countries under Duterte government. Both have seen warmer ties since Duterte assumed office and prioritized pursuing the economic aspect of the relationship instead of the maritime dispute.